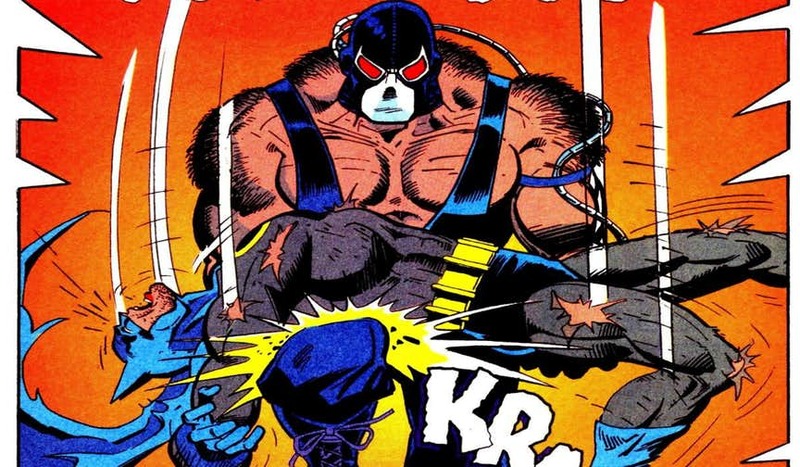 In the “Knightfall“ storyline, Bane is seen enlisting Batman’s rogue gallery for causing a lot of chaos. When Batman returns to the Wayne Manor Bane enters the scene and challenges Batman to a fight and Batman is too fatigued after some time and Bane lifts Batman and throws him on his knee, and this breaks Dark Knight’s back. In “Avengers Vs. X-Men”, the Avengers, are seen battling the X-Men. Their very first foe, Namor tries to destroy Wakanda, and almost all the Avengers arrive and try and fight the powerful Sub-Mariner. Red Hulk then attacks Namor, but he breaks Red Hulk’s arm and almost rips it off. AvX the Avengers reprieve from a very exhausting fighting that they have endured. Hope Summers soon joins their side, and the X-Men are out of control. 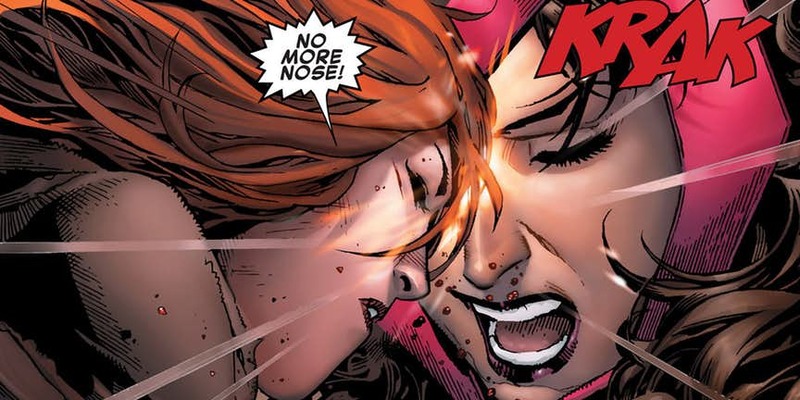 When Hope happens upon Wanda while she is still training, the mutant has a lot of built-up aggression towards all the women who almost wiped out mutants. They then have a huge fight, and their powers cancel each other out. Wanda then decides to stop the fight and then Hope also agrees, but =she then head-butts Wanda and breaks her nose. The Red Hulk can maintain his intelligence, and this also includes a good proficiency in hand-to-hand combat. When the Hulk had first met the Red Hulk, he had thought that strength alone could help him destroy Red Hulk. 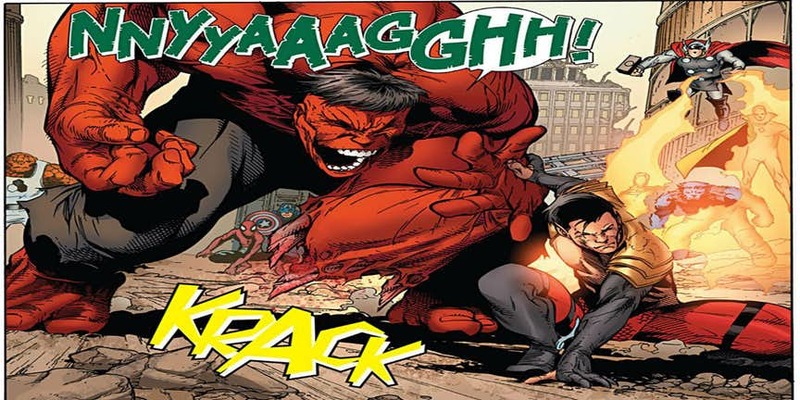 Red Hulk is then seen taking the Hulk’s best shot and breaks his arm. Iron Man, the Fantastic Four, and Black Bolt are seen trying to stop Hulk, but his strength is way too much to fight. Doctor Strange then summons dark, and he also allows a demon to run through his entire body. 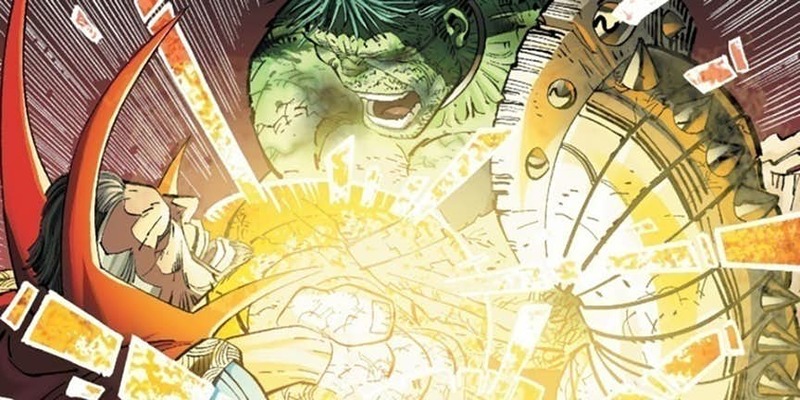 This boosts his powers, and Strange almost defeats the Hulk, but he is then tricked when the Hulk become Bruce and grabs him by the hands and breaks them. 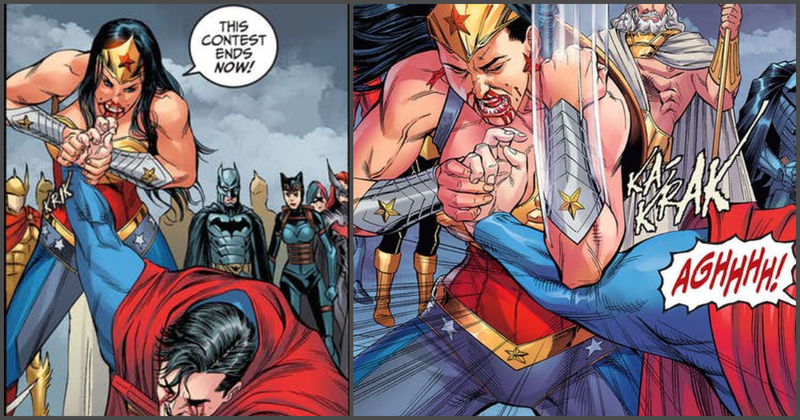 In Injustice: Gods Among Us Year 4, the two former superheroes, Superman and Wonder Woman fight each other. Superman then pleads with Diana to surrender, and this infuriates Diana, and she then gets her second wind. Wonder Woman uses all her powers and gouges his eyes and then breaks his arms. During World War Hulk, the Hulk has a list of people he wants to kill. The Hulk soon takes on the best the X-Men that he can- Colossus. Then, Colossus opposes him, and when they fight, the readers learn that even the metal mutant is no match for Hulk. 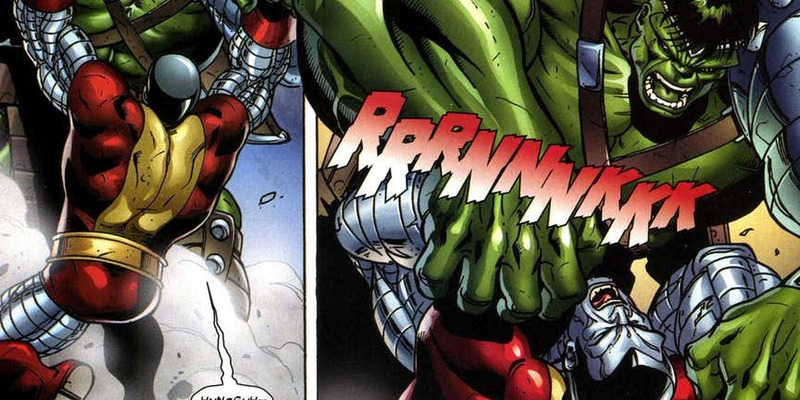 The Hulk breaks Colossus’s arms eventually.